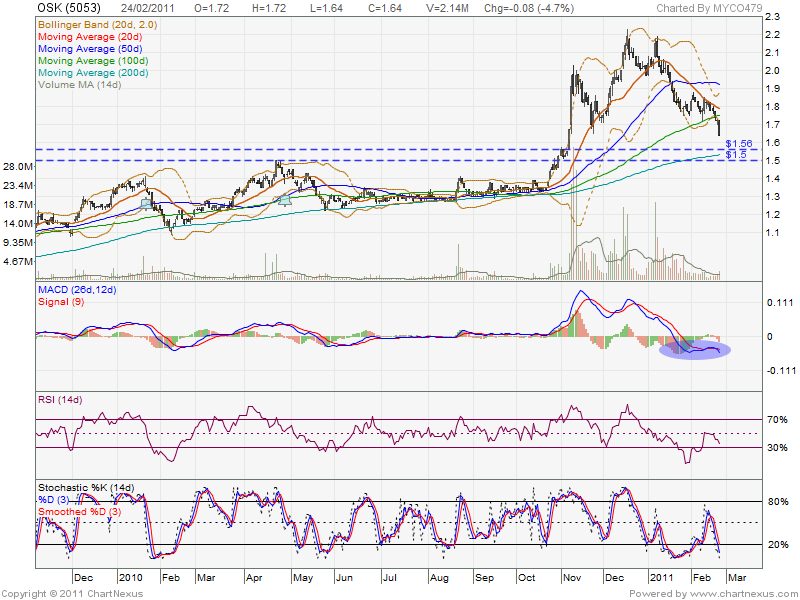 Currently, MACD at negative region, may define as downtrend sign. 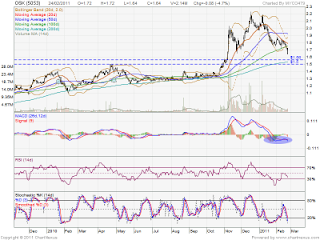 However, if rebound, it may retest RM1.69 & RM1.72 resistant level. Let watch closely for reversal candlestick.